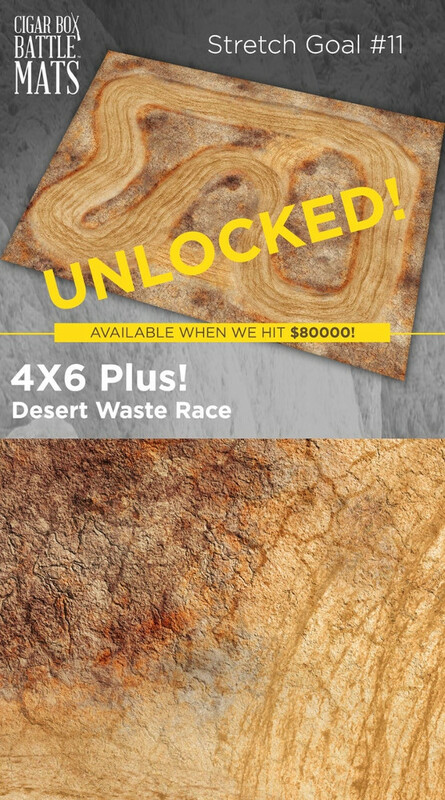 The guys over at Cigar Box Battle have recently decided to unlock all of their Kickstarter Stretch Goals. This is very exciting news for anyone watching their campaign and planning to jump in only once a specific mat was funded. Cigar Box Battle received some of the same feedback from their customers and fans. In order to satisfy their customers, They decided to Unlock all of the new designs!!! If you have been sitting on the fence and waiting for some of those new designs to be unlocked, this is great news for you! All of these new designs (and more) are now available to backers. Below are a few that I figure might interest the readers of Bell of Lost Souls. This one is both creepy and eerie. Okay, maybe it is not that creepy, but it certainly is cool. I figure it would be great for Age of Sigmar, or a number of historical games that I play (including Flint and Feather). This mat is cool. It would be great for Gaslands, but an inventive person could probably find use for it in Sci-Fi and Post Apocalyptic games. This one is one of my favorites of the new mats. It looks great and could be used for any number of games! Versatility between systems is one of the things I look for a gaming surface. This has that (at least with the games I play). These Barren Lands would make for a great surface for a number of Sci-Fi, Historical and Fantasy Games. Counting the 11 new mats, there are a total of 68 different designs to chose from during this Kickstarter Campaign. That means there are a number of older designs for people to choose their favorites from. 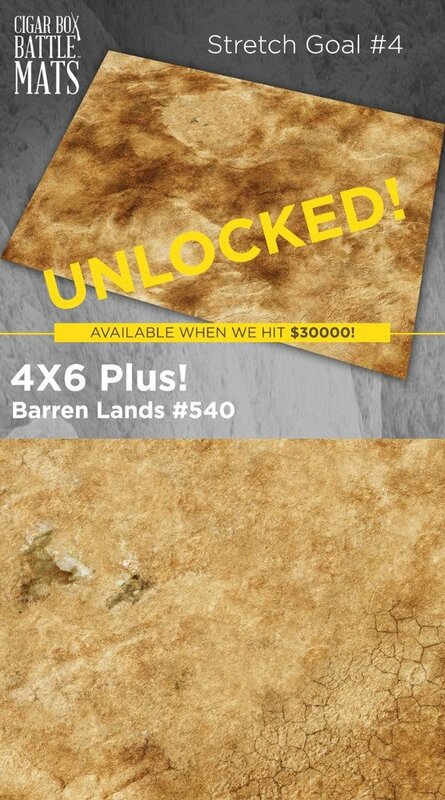 The one I am hoping to get my hands on is their Muddy Barren Mat. 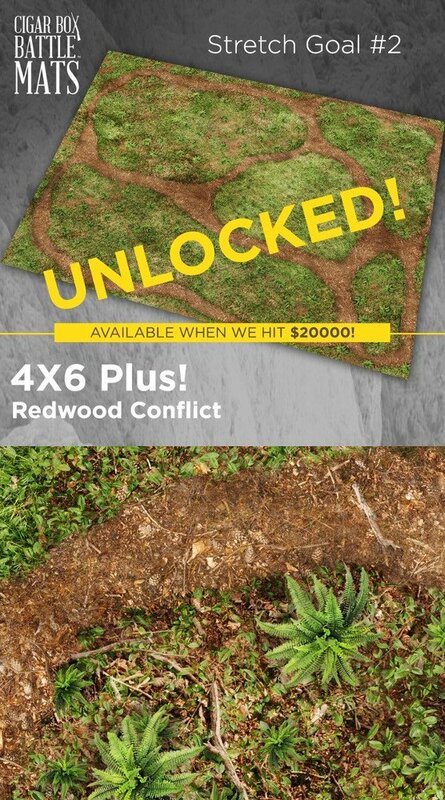 Of course, I really like the new designs too and the Redwood Conflict Mat is high on my wish-list. With a choice between 68 mats, the toughest part of this Kickstarter is choosing just a mat or two. 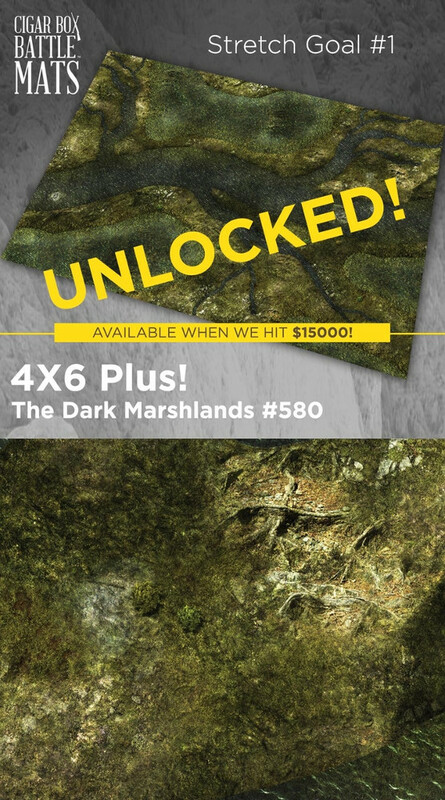 This is the mat I am looking to get. 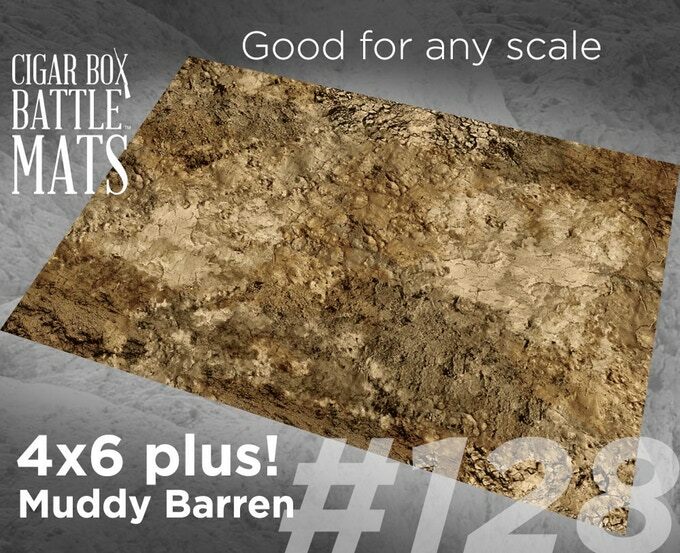 The mats by Cigar Box Battle are of great quality and manufactured by an American company. I own four already and am hoping to increase my collection to have even more. How about you, are you interested in these mats? Be sure to visit the Kickstarter Project if you are interested.